Every business owned by a Christian is a ministry and receives tremendous opposition from the enemy. Many ministries are struggling and also getting beat down by the opposition of the enemy. To train and maintain intercessors has become a major challenge in many ministries. We all know that God does not do anything without humans interceding. Ezekiel 22:30-31 And I sought for a man among them, that should make up the hedge, and stand in the gap before me for the land, that I should not destroy it: but I found none. Therefore have I poured out mine indignation upon them; I have consumed them with the fire of my wrath: their own way have I recompensed upon their heads, saith the Lord God. Intercession can stay the hand of judgment and change your story. Imagine having people do quality intercession for your business and ministry on a daily basis. Calling out every point, bringing scriptures to back why you should receive the breakthrough. Calling in customers, good workers, favor, protection. Releasing wisdom and opportunities, open doors etc over your business. We have intercessor, who have been trained and praying for over eight years. We have women that have prayed occultist out of town and raised the dead in intercession. We have people here on our prayerline that have been training and praying for hours everyday for years. Let us help you carry the burden for your ministry and business on a daily basis. Why we charge is to provide income for these intercessors so they can do what they do best without financial constrains forcing them to take secular jobs. As much as we will like for people to pray for us everyday, most people are not called to or have the grace for intercession. We also have a lot of people who have the grace for intercession but are caught up with working secular jobs to pay their bills. The purpose of this vision is to link the intercessors with the needs of our ministries, churches and businesses. And pay them so they can stop worrying about bills and help you go fulfill God’s call whether in the church or in the market place. ”I have set watchmen upon your walls, O Jerusalem, who will never hold their peace day or night; you who [are His servants and by your prayers] put the Lord in remembrance [of His promises], keep not silence.” (Isaiah 62:6 AMP). The Intercessory Ministry is a ministry of prayer that requires total dedication and a personal relationship with God. It is one of the ministries that draws you closer to God and leads you to earnestly seek the face of God as you present the needs of others by standing in the gap for them. Intercession is a selfless act that requires you to bring the needs of others before God and is considered by some people to be the highest form of prayer. Just as Jesus intercedes for us (Heb. 7:25), then we too must intercede for all mankind. It is a commitment for the righteous to go before God to seek restoration between Him and His fallen creation. 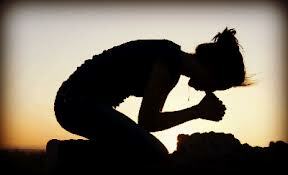 Intercessors that show a willingness to make sacrifices are chosen by God to be on the front lines, to hold up the arms of the leader(s) of the house by going before God on a daily basis to receive protection and guidance for those who are being prayed for as well as for yourself. The word of God says, “….to watch and pray” (Matthew 26:41) and “Pray without ceasing” (1 Thessalonians 5:17). As Intercessors, we are always on a spiritual wall (gates of the city) looking and discerning the times. Intercessors are to sound the alarm at the first sight of trouble, but also spiritually discern when a person is hurting and/or is in need of encouragement. David Serrano. We also encourage people called to intercession to contact us and get trained for this vision. Click Here to sign up your church or business.